If some or all of your teeth are missing and you’re looking for an effective, comfortable, and functional replacement method, then you’ve come to the right place. The oral health care professionals at Station Square Dental are highly experienced in specialty services such as dentures and will help you to smile confidently once again. Dentures are removable replacements for your teeth, designed to look and function like your own natural teeth and surrounding gum tissues. They are usually the most cost-effective option to replace some or all of your teeth and can be made from acrylic or a combination of lightweight chrome and acrylic materials. Modern-day dentures can look both realistic and natural, plus they are made to feel comfortable during wear. Patients are able to take their dentures out during night time as they sleep, as well as for cleaning. If a patient has not had dentures before, they may take some time to get used to. Certain adjustments must also be made to your diet, as hard foods can be challenging to eat. On average, your dentures will need to be replaced every eight to ten years, particularly as you grow older and your facial structure begins to change. 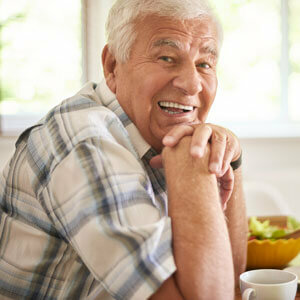 Are you considering dentures or are your existing dentures causing you concern? Our experienced team of oral health care professionals are always on-hand to assist you, so please schedule an appointment at Station Square Dental by calling (03) 9568 8911 today. We look forward to helping you gain a more beautiful, confident, and functional smile!